An employee has been absent from work for a few days or so. They come back toting a physician’s note stating they can return to work but with certain conditions. They require a reasonable accommodation. Every employer goes through the murky pathways of handling this situation. What is a reasonable accommodation? Why does an employer need to comply with this? How does it affect the work force? Starting from the beginning, we all understand that Federal law prohibits discrimination based on someone’s actual protected status (race, age, disability, etc.) as well as someone’s perceived status; even if the perception is wrong. Enter the Americans with Disabilities Act (ADA). The ADA applies to employers with 15 or more employees, employment agencies, labor organizations, and joint-labor management committees. The ADA specifically prohibits discrimination against someone who has a history of a disability, who is currently disabled, and who associates with an individual with a disability. Additionally, the ADA prohibits retaliation against any one who raises a concern or requests reasonable accommodation under the ADA. Who is qualified for these protections? Any person who has the requisite skills, experience, education, license, etc., and can perform essential functions of a position with or without a reasonable accommodation. This is why it is important to have accurate and current job descriptions. So, how do we define disability – what is it exactly? A disability is a physical or mental impairment that substantially limits one or more major life activities. Let’s break this down: “substantially limits” means compared to most people in the population. It also recognizes that the impairment does not have to prevent or significantly restrict an individual from performing a major life activity in order for the impairment to be considered substantially limiting. A “major life activity” calls attention to tasks related to caring for oneself. These tasks include eating, sleeping, walking, working, breathing, reading, etc. It is interesting to know that 90% of people covered by the ADA have conditions that are unseen by the human eye. For example, a diabetic would be covered by the ADA, but likely, we couldn’t know someone is diabetic just by looking at them. We know what the law prohibits, we know who is protected, and we know how disability is defined. What do we do if an employee requests a reasonable accommodation? Typically, a manager would work with their human resources department. There are a few considerations to make to determine whether or not the accommodation is reasonable. One is the nature of the accommodation and the cost associated. Another consideration is the financial resources of the facility or department, how many people are employed in the facility or department, and how the accommodation would affect resources and expenses. Yet another consideration is how the accommodation would impact the operations of the facility or department. How would this affect the manner and/or time in which other employees perform their duties and how would it impact the facility’s ability to conduct business? All of these questions should be discussed between the manager, the employee, and the human resources representative. It should be noted that an employer is not required to provide a reasonable accommodation, but to give thorough consideration for the reasonableness of the accommodation. A common request for reasonable accommodation is for use of an ergonomically correct office chair that might alleviate chronic back pain. In a large organization, this request would likely not be considered unreasonable. However, in a smaller office, this expense may be seen as cost-prohibitive. The bottom line is that each reasonable accommodation should be considered individually, however, it is important to be consistent with previous requests, and future requests as they are brought forward. Richard Finger has worked in Human Resources for over 20 years and has worked with small, private organizations, global corporations, and most currently, a healthcare organization. Richard has worked abroad a number of years in England as well as The Netherlands, where he acquired a great appreciation for cultural awareness. He currently holds three Human Resource Certifications (SHRM-SCP, SPHR, SPHRi), and is also teaching the SHRM-CP/SHRM-SCP preparation course at Howard County Community College. Richard earned his Bachelor Degree in Psychology at University of Central Florida, and Master Degree in Human Resources Management & Labor Relations at New York Institute of Technology. 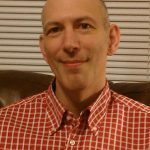 Richard has been writing for Baltimore Outloud for a number of years, contributing articles about his Human Resources experiences, as well as moonlighting as the author of Finger's Food restaurant reviews. Richard has enjoyed writing for the paper, and looks forward to many more opportunities to do so.